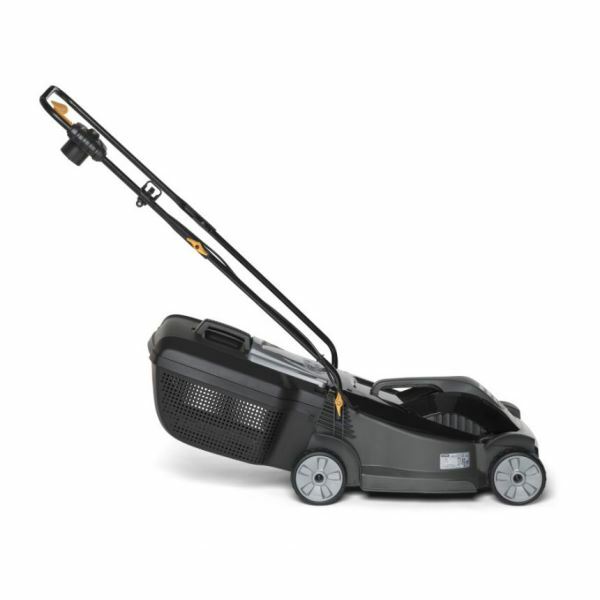 The Alpina BL380E 15" Electric Lawnmower is new for 2019 and ideal for maintaining a medium-sized garden or front lawn (up to 500m2). 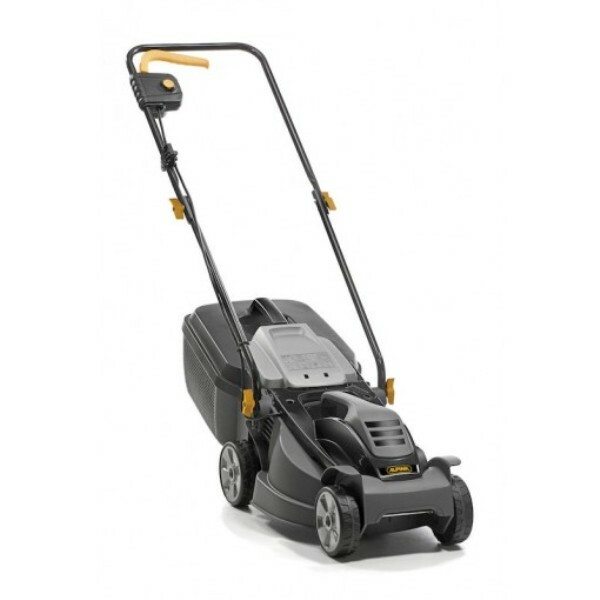 Manufactured from sturdy polypropylene, this push mower is straightforward to use and comes complete with a rigid, 40L rear collection box for fuss-free emptying. 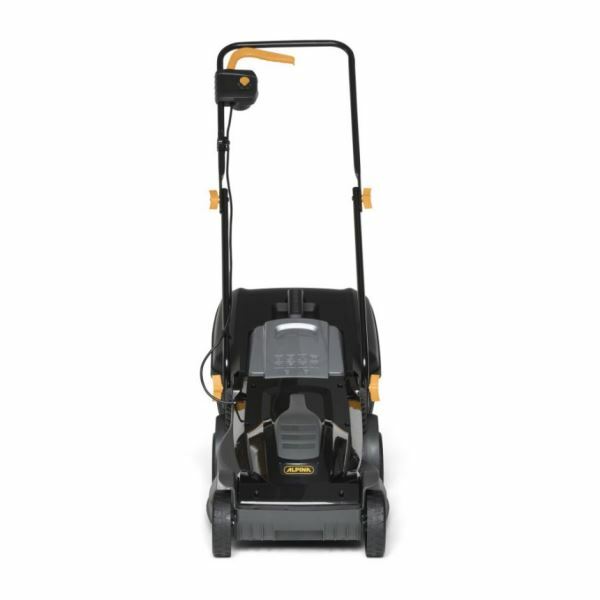 Powered by a 1400w motor with a modest cutting width of 38cm and a choice of 3 cutting heights (25-65mm) you can select the perfect finish for your lawn. To improve the quality of the cut a front comb has been installed which helps to direct grass in towards the blade and provides superior air circulation for enhanced clipping collection. The mower has also been equipped with a skid plate, which prevents damage to the soil over uneven surfaces.